After seven glorious years at the summit of the Big Bash League, the 2018-19 season has been one of hardship and failure for Perth Scorchers, who find themselves at the bottom of the table and having to depend on the other teams to go through to the semis. Despite having slim hopes of qualifying, the Scorchers still have pride to salvage against a Melbourne Renegades side which is firmly in the race for a top-four finish. With the Optus Stadium suiting the batsmen, this match is sure to be a high-scoring thriller. Cameron Boyce, Dan Christian, Tom Cooper, Zak Evans, Aaron Finch, Marcus Harris, Mackenzie Harvey, Jon Holland, Tim Ludeman, Joe Mennie, Mohammad Nabi, Kane Richardson, Usman Khan Shinwari, Will Sutherland, Chris Tremain, Beau Webster, Cameron White, Jack Wildermuth. The Scorchers were pretty good with the bat in their previous game against the Thunder but their efforts were undone by a rampant, Callum Ferguson who hit an unbeaten hundred to steer them to a crucial victory. Not many changes are expected of the side with Shaun Marsh and Mitchell Marsh available for them. Aaron Finch's fifty set the tone for the Renegades in the last match as they beat the very same opponents the Scorchers lost to, Sydney Thunder. While the batting has often left fans asking for more, the bowling has been top notch with Kane Richardson leading the wicket-takers charts with as many as eighteen wickets to his name. No changes are expected of the Renegades as well with the team looking to lock down a top-four finish with only a handful of games left. Cameron Bancroft has been in good form of late and should be the ideal choice for keeper ahead of Sam Harper, who has tailed off after winning two consecutive man-of-the-match awards. Shaun Marsh is perhaps in the form of his life after top scoring in the series against India and scoring an unbeaten 96* on his return to the BBL. Shaun Marsh along with Ashton Turner are two individuals to have in your team. Either of Tom Cooper and Cameron White would also be a handy pick. Mitchell Marsh, Mohammed Nabi and Daniel Christian are all very talented players and can influence the proceedings without any doubt. Christian is one player to have an eye on with improved performances with the ball and finishing matches when required to do so. Kane Richardson is the leading wicket-taker in the competition and is certain to make an appearance in all fantasy teams. Along with him, the likes of Usman Qadir, Nathan Coulter-Nile and Harry Gurney would be great picks to go by. Jason Behrendorff's ability to swing the ball also makes him a great option with Aaron Finch finding it difficult with the new ball swinging around. Ashton Turner has been the brightest spot of a very dismal campaign for the Scorchers. He has scored 306 runs for the team and should be backed for captain with the Scorchers needing to win this game to stay alive in the competition. Other options also include Daniel Christian and Mitchell Marsh. 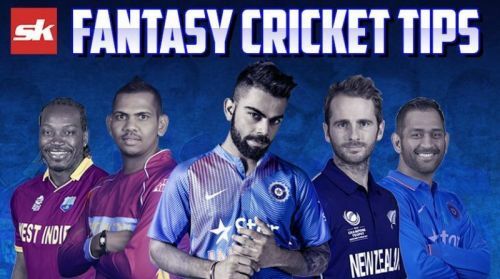 Fantasy Suggestion #1: Cameron Bancroft (WK), Shaun Marsh, Ashton Turner, Tom Cooper, Mohammed Nabi, Daniel Christian, Mitchell Marsh, Nathan Coulter-Nile, Usman Qadir, Kane Richardson and Harry Gurney. Captain: Ashton Turner.